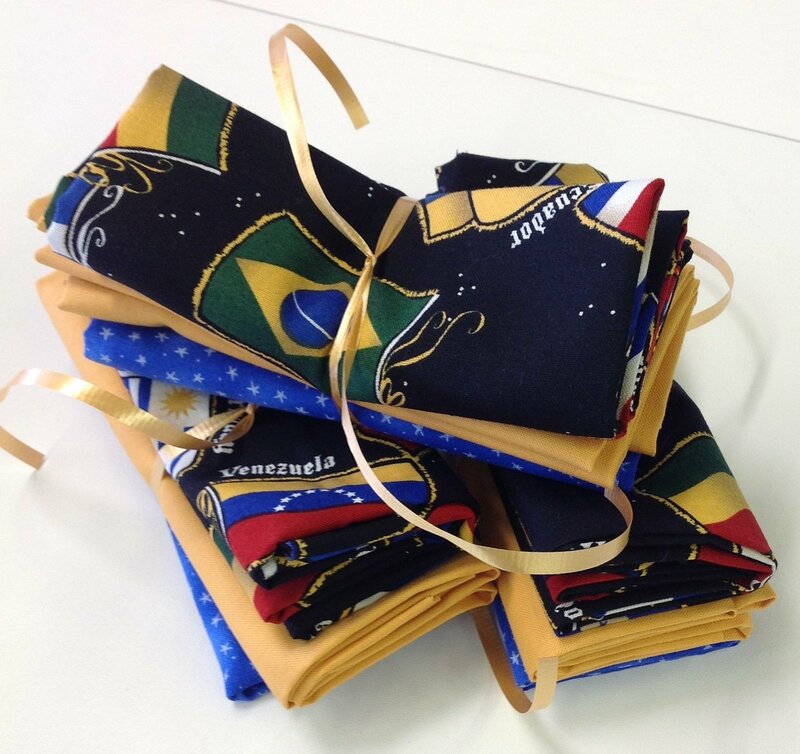 July 2016 Star Challenge Fabric --Latin flags with blue and gold coordinates are in this trio. Use at least one fabric in this Trio recognizably in any project of any size and be eligible to win 2 yards of 42-44" wide fabric. Use a pattern we carry and earn another chance to win! The project can be as small as a potholder or as large as a king size quilt. Send us a picture of your completed project and be entered into a drawing for 2 yards of 42-44" wide fabric. "Completed" just means the top- it doesn't need to be quilted and bound. You will be entitled to one entry per fabric used in your project (e.g., use all 3 fabrics and receive 3 entries into the drawing). Use a pattern we carry and earn another chance to win! The submission deadline is August 1 and the prize will be awarded mid to late August 2016. If you are so inclined, we would love to display your finished project for a little while.